This Mid-Century single story home built in 1960 sits on a private knoll at the end of a quiet cul de sac in a popular La Canada neighborhood. Clean lines, abundant windows, open rooms and warm wood accents capture the essence of authentic Mid-Century architecture. Additionally, there is access to the yard throughout the home for true indoor/outdoor living. The welcoming entry with stone tile flooring leads to the living room with corner windows and a fireplace. The formal dining room with a fireplace and built-in storage cabinets opens to the inviting remodeled kitchen with granite countertops and a sunny breakfast area. The bedroom wing includes the master suite with a spacious closet/dressing area and sliding glass doors to the yard and a remodeled bathroom with double sinks and a seamless glass door enclosed shower. Two additional bedrooms share an updated hallway bathroom. A bonus feature is the large permitted detached bonus room above the garage. Measures approx. 336 SF per REST. We are excited to have joined a Real Estate firm that matches our vision of trust, integrity and accountability along with creative marketing and cutting edge technology! We bring with us a reputation of over 31 years of being one of the area's top producing teams and were recently honored as being named one of the top 10 teams Nationwide with a large Internationally known Real Estate company. We enjoy a passion for selling not only architectural significant homes but properties in all price ranges in Pasadena, Altadena, La Canada Flintridge, San Marino, South Pasadena and other adjacent San Gabriel Valley communities. Susan was born in Morocco and traveled the world with her corporate family. Brad was raised in the San Gabriel Valley and graduated from the USC Business School with a Finance degree. We lived in Africa for several years when we were first married and because of this love of travel and understanding the nuances of moving frequently, we enjoy assisting corporate families who are relocating to the Los Angeles area. We are fortunate to have built a very successful business focused on building relationships so that almost 100% of our clients are referred to us. Our Sellers and Buyers will confirm that we consistently exceed their expectations during and long after the transaction has closed. We take great pride in the long-term friendships we have created with many of our clients who consider us their trusted advisors. Along with our impeccable reputation among our peers, we are proud of our assertive but fair negotiation skills as well as possessing the highest level of integrity, dedication, commitment and working tirelessly to deliver the very best to all of our clients. A priority for us is our involvement in the communities that we serve. 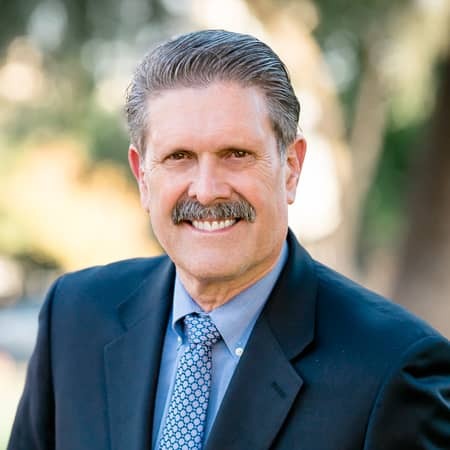 Brad serves as a member of the Pasadena Tournament of Roses, sits on the Board of Five Acres, is a District Commissioner for the Rose Bowl District Boy Scouts of America and was Chairman Emeritus of the USC Marshall School of Business Alumni Association. Susan is a member of the Pasadena-Foothills Board of Realtors Professional Standards Committee. Most importantly we are the very proud parents of three fantastic children and two adorable dogs!